the writing itself is pretty great. The author has spent a lot of time piecing things together in ways that don’t totally make sense, yet they do. if you’re capable and up for entering a totally bizarre, imaginative world- this is your book. The cute little tales of bunnies and bears and flying ships becomes woeful, gruesome stories of death, betrayal, regret, sadness, and cruelty. It reflects how watching the world transition from a child into an adult warps and perverts what we once held dear and sweet. …elements of other stories weave threads into this book, such as Hemingway’s stories and the mythology of Troy, which will delight any literary lover. This is a book you’re going to have to read through a few times to appreciate the references and imagery peppered in through the plot. This isn’t a feel-good tale of redemption, but an exhausted retrospect of how the world eats away at you until there is nothing left to give, to tell the world. …a very unique book about an old man named Mr. Fin who finds himself battling dementia and grieving for his son. …completely unlike any book that I have read to date. It completely blindsided me. …dense writing, twisting narratives and emotional stories. The writing was beautiful, complicated and eloquent. ….evoked plenty of emotion and wonder. I will definitely be revisiting it in the future as I don’t think this book is one that I can read only once. the story defies genre, as well as expectations. What makes this book work isn’t the nebulous genre placement or even the fantastical nature of the events, but rather the quality of the writing. Hendricks is an exceptional writer, with an ability to weave a narration that could so, so easily be confusing and more than a bit contrived but instead becomes entirely evocative, sometimes heart-rending, and always believable. … you don’t see the writing: you just sit back and watch the story unfold. You get caught up in the characters and their feelings; you want to know more, even as it’s sometimes hard to face what they’re experiencing. You don’t always know what you’re going to find on the next page, but you also can’t stop yourself from turning it. …more than a little different but not purely for the sake of being different. …we’ve all read many of the themes contained in it, many times before. But I can assure you that you’ve never read them quite like this. We don’t have a review of the book to share at this time. This simply is a promotional post to announce the release of this book. Instead of giving an opinion (for once) we will allow readers to discover this book themselves. However, we may have an exclusive author interview coming soon, so stay tuned! this was a tough read. While beautifully written, it felt disjointed and confusing to me and I struggled to finish. 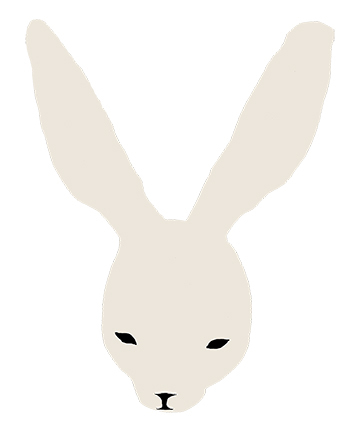 …reminded me of a stream of consciousness novel that I once picked up and couldn’t finish, but the tale of the rabbits kept me intrigued enough to keep going. the story demanded too much concentration … not the enjoyable escape I normally expect from a book. …other readers will be able to appreciate Fin’s skewed remembrances of beloved stories. And … the author does have a way with words. It was just a little too demanding for me and left me floundering. a nuanced, multi-faceted tale that will delight and challenge any lover of literary fiction. Each plot line crafts a narrative of immense depth, one that allows Hendricks to dazzle, twist, and transfigure our understanding of all his worlds, all his stories. Hendricks is clearly a gifted writer. It’s beautiful in parts, emotional in parts, but requires an investment that I think will turn a lot of people off. It’s not a happy book by any means, but I think there’s power there if this is your type of story. Little is Left to Tell is disorienting. And it is intentional. After finishing Little is Left to Tell, I sought out the audiobook … I sensed this story would lend itself well to the format, and I think I am right. After listening to the preview, I wished I had listened to this story instead of read it myself. The language is poetic and the prose has this certain rhythm that I couldn’t get quite right in my head. I didn’t rate this book. I don’t even know how to. It’s not like I read the book and either liked or disliked it. I experienced this book, and I have no idea how to even quantify it. I can’t actually think of a single person that I currently know that I would pass this book along to. Perhaps it is something I would have passed along to a friend at college though. Some literary sort, keen on experimental writing, surrealism, and discussing the difference between magical realism and fabulism. I was immediately drawn into the narrative and I believe others will be too, since many of us have relatives who are suffering from either one or both of the horrific, incurable diseases of dementia and Alzheimer’s. I believe it would be helpful for any reader to have an expanded imagination and ability to follow non-sensible narratives. I’m not really sure where to start with this book. I had a very hard time understanding exactly what was happening, and even deciphering who is a person or a rabbit or a fish. …I had trouble grasping what was actually happening, what was real and what was fictional. I did, however, really enjoy the beauty of the writing. I can tell that Hendricks spent a great deal of time laboring over each and every word and phrase because it is absolutely beautiful. If you are looking for a fun and intriguing read with fantastic writing, I would recommend this novel. the whole thing just flew right over my head. It won’t be everyone’s cup of tea but I think for the right reader Little is Left To Tell will be a quite moving tale. The writing was beyond excellent. It was emotional, powerful, and beautiful. I enjoyed immersing myself in it tremendously. The stories intertwine – bunnies and Mr. Fin. One minute you are reading about an elderly man with dementia grieving his son and then suddenly its all about the bunnies. How brilliant is that? Believe me, it is. The disjointed feel of the story is difficult at first, and distracting at times. However, you find yourself easily adjusting to these abrupt transitions in the story rather quickly. Plus, I thought it was a clever way to show us what someone experiencing memory loss has to deal with – the way their mind must work jumping from one thought to another, because they are losing memories left and right. It almost reads like a stream of consciousness, which I found to be rather illuminating. Using the characters to introduce literary icons like Woolf and Hemingway added such depth and whimsy to the story. Loss and grief were the big themes and the manner in which Hendricks’ threaded them throughout his story was creative to a tee. Never knowing what time period or who’s viewpoint we are reading about begged the question, “Is this real?” I loved trying to figure out what was truly happening with Mr. Fin – it made for such an emotional reading experience. This is definitely a hard book to summarize. Just know that its wonderfully written, mesmerizing, and provides plenty of food for thought. I would happily recommend Little Is Left To Tell to anyone looking for a unique reading experience – you will not be disappointed! Unique, unusual, sad, imaginative, funny and well, weird. …It’s an adult fable that takes a great deal of attention to the fine details to understand, but in the end is totally worth the effort. a cast that won’t soon be forgotten. some readers will have a hard time with the stories sliding into each other as they do in this strange tale. I love the premise of the story and can imagine it in my mind like an animated movie – it just needs a little polishing. Overall – I would recommend this book to the millennial crowd – they will eat it up with a spoon. Definitely a “no” for younger readers, and a “maybe” for more mature readers. I do look forward to more work from the author – he has a keen, imaginative mind! Thanks to TLC BOOK TOURS!